With the warm weather and the inviting Caribbean water, Riviera Maya Mexico resorts are your ideal diving location here in the Yucatan Peninsula. The presence of a massive reef system called the Great Mayan Reef or the Mesoamerican Barrier Reef attracts a lot of people from all over. The thousand kilometer reef that stretches from Yucatan to the coast line of Belize and Honduras provides an exciting experience for any diving enthusiast. The thriving ecosystem of the reef is home to hundreds of different species of fish and to the endangered green sea turtle or leatherback turtle. You can also find different types of mollusks and corals. 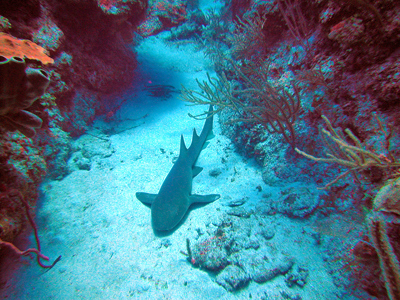 Some Riviera Maya hotels and other businesses have diving shops that allow beginners to learn safe diving or snorkeling. Villas DeRosa can certainly accommodate you! If you don't own the necessary equipment, you can definitely rent it for a small amount. The Yucatan is also a great place to try cenote or cave diving. For any thrill seekers this kind of unique adventure is worth trying. The Riviera Maya is composed of several tourist towns like Playa del Carmen, Akumal, and Tulum. Akumal scuba diving is one of the best diving spots in the area.